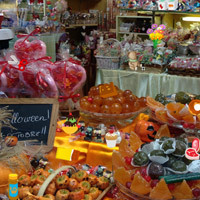 Hidden Objects-Candy Shop info about the game-Games2Rule. Games2rule has just released a brand new game where your challenge to find the hidden objects in this candy shop! In this game the candy shop objects are totally unplaced. So it's not easy to finding object. Can you find? Let's go. Avoid clicking unnecessarily as otherwise for every wrong clicks -20 seconds of your time will get reduced. Best of luck!